Well, no. If you are a solopreneur, Blogging is the engine of your personal brand. If you are a company blogging drives traffic to your website. A company’s website is the core of their internet marketing, but that alone will not bring in business. A company needs to drive traffic to the website using social media or paid advertising. Blogs are where companies share their expertise and build influence. Facebook is on-line networking and provides additional content distribution. LinkedIn is where you can do it all. Companies that need to be relevant now and in the future must create a steady flow of digital content and social interaction. 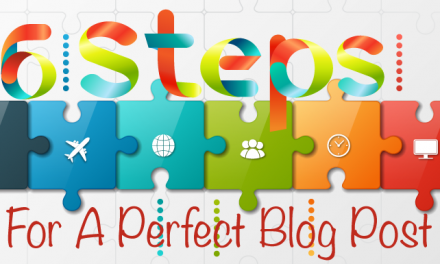 Most, if not all of your online communications will connect back to your blog. Authority — The hub of your personal branding efforts, your blog is where you share your expertise to establish authority in your niche. Relationships — By sharing useful, relevant information, you’ll connect with customers, partners, bloggers and other constituents. Reach — You’ll promote your blog posts and take advantage of the amplification social media offers. Publicity — Demonstrate you know your niche and you’ll get asked for interviews frequently and republished. Subscribers — Your blog should inspire people to opt into your email newsletter list, which in turn, feeds traffic to your blog. Sales — A blog can be key to acquiring new customers. Dialog — Blogs encourage interaction, comments, and feedback. Insights — You’ll learn how to speak in your customers’ terms and grow more in touch with your audience’s wants and needs. 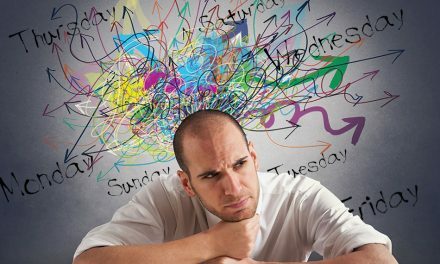 Focus — Blogging should force you to define who you are trying to reach and why. Discovery — As a writer, you’ll learn a lot about yourself and the world around you. Recognition — A blog is your pulpit, your publication—the place where your ideas define what you have to offer. Benefits of Business Blogging are too numerous to ignore. Let’s describe the value of a blog another way, with Social Touches. Just using Facebook and LinkedIn distribution, in one week one blog post can be distributed to Facebook on three different days and times and to LinkedIn once. That is 4 Social Touches a week. Multiply those four touches by 50 weeks, and you have 200 Social Touches a year. Adding other social platforms and curated content will extend your reach and influence. Add a sharable branded offer to those 200 touches and the reach can easily become 300-400. 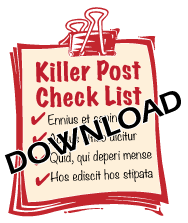 In the meantime, download our ultimate check list for writing and publishing killer posts. It can get you off the ground and keep you on track. We’ve just scratched the surface of value for blogging. To learn more visit the Blog Marketing section of our website. If you are convinced about the benefits of blogging for business, you probably understand the need to use key words in your articles/posts. Download our 13 Tips For How to Use Key Words.